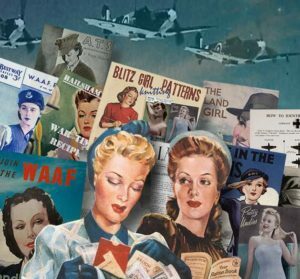 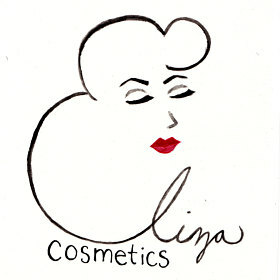 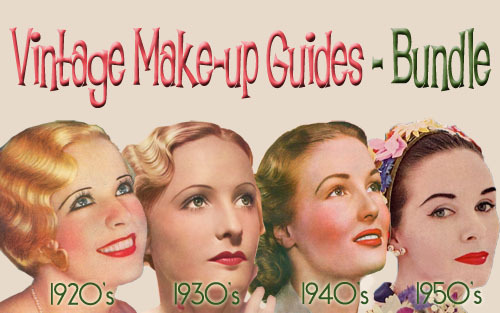 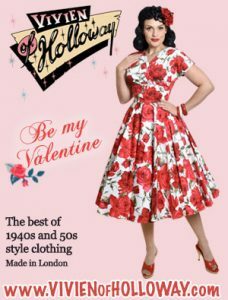 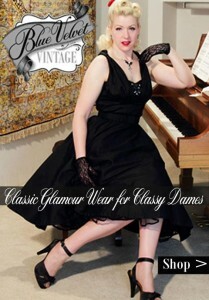 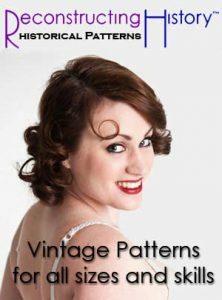 You can instantly download direct to your smartphone, tablet or desktop – beautiful original 1920’s, 1930s, 1940s and 1950s makeup and beauty books – Click on banner below. 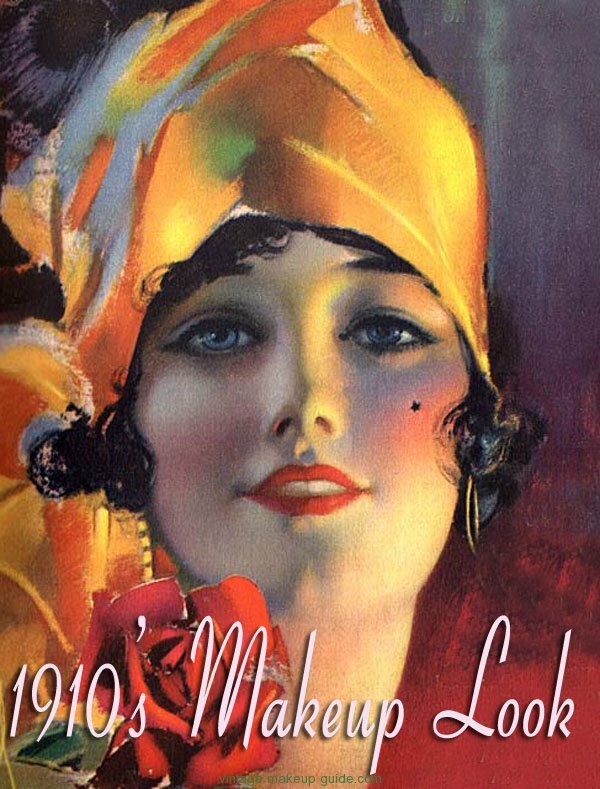 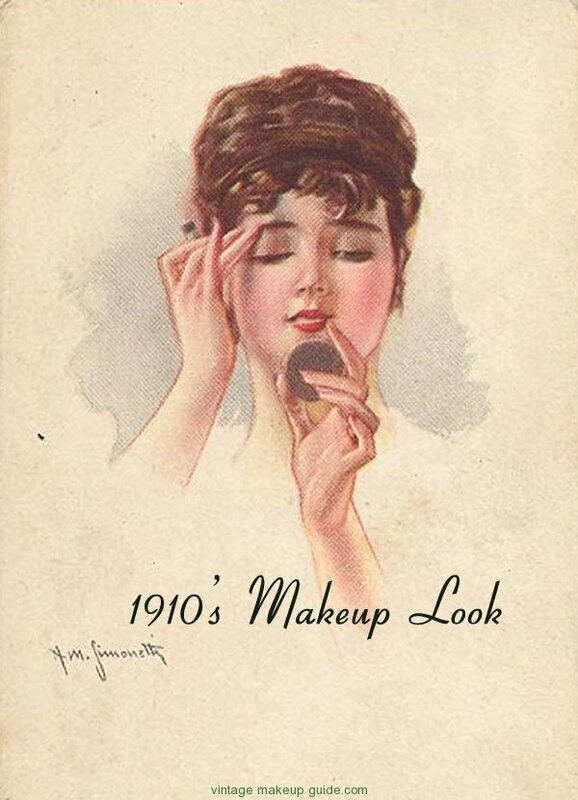 To put the history of make-up during the 1910s in true context, Max Factor opened his first Los Angeles studio in 1909 and began immediately to create an impact by creating early screen siren looks for Hollywood actresses. 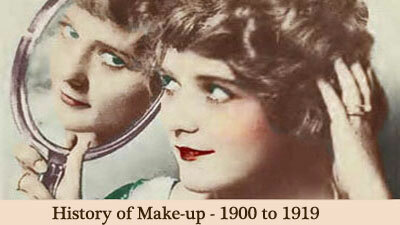 The impact this had on women around the world was as immense as the impact of cinema itself. 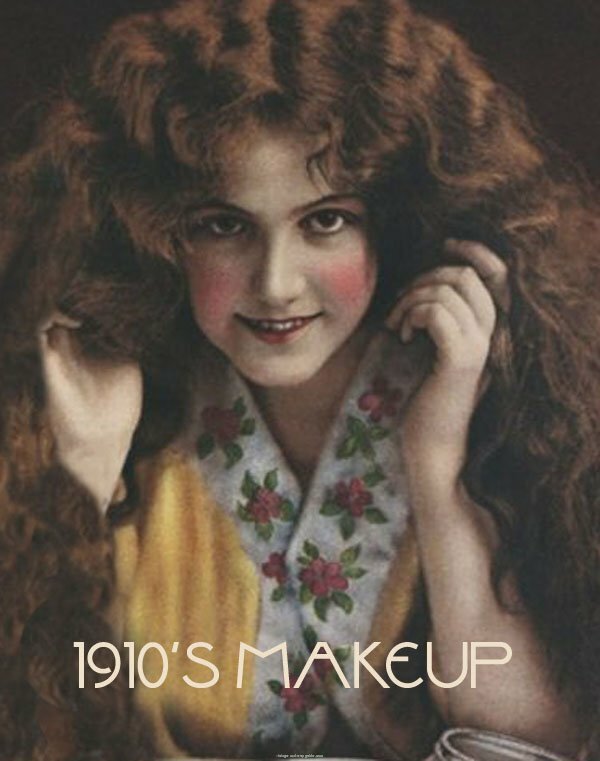 It was the decade that saw the first mascara introduced by a certain TL Williams who named it after his sister Mabel. 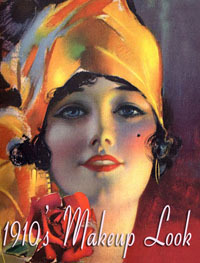 The brand Maybelline takes its name from her. 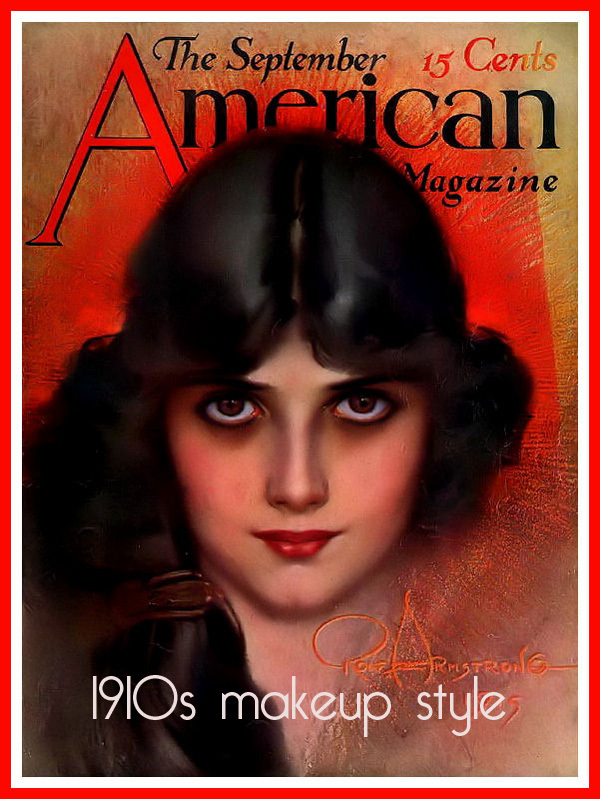 Apparently she used to formulate her own mascara using hot beads of colored wax which impressed her brother so much that he created the first commercially available version of it to the world. 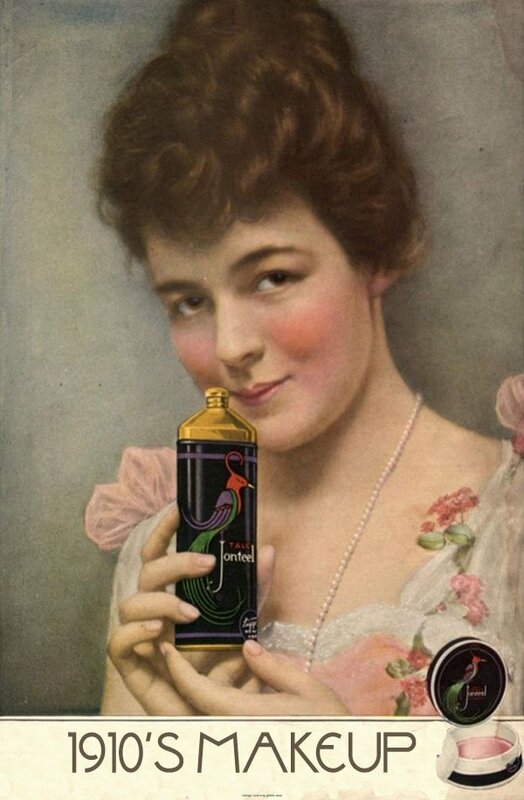 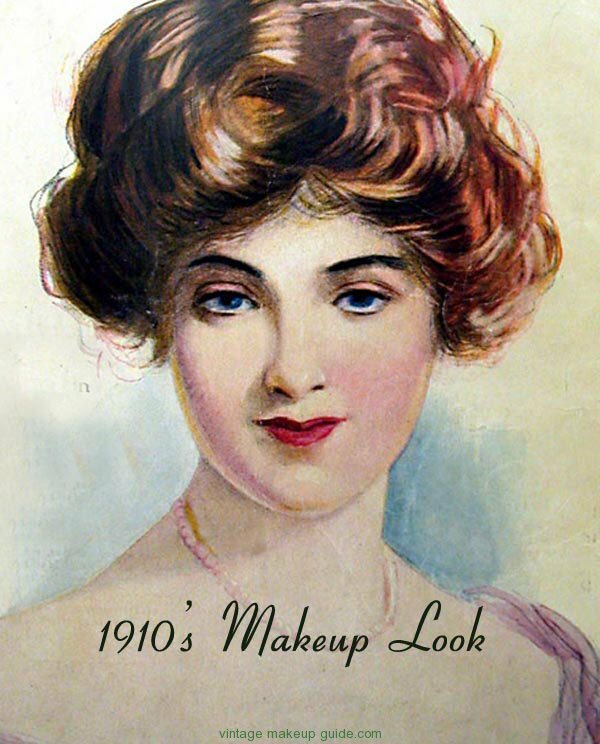 The effect was an instant success and was quickly adopted by early screen stars of Hollywood.In 1914 along came Max Factors Pancake makeup. 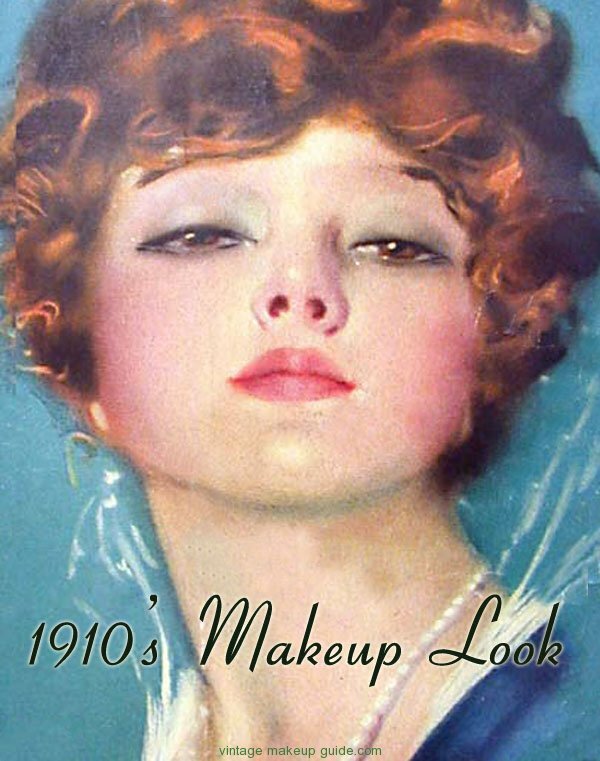 He also introduced the first proper commercial eye shadow made from henna extract and the look of the Hollywood vamp was born, inspired by Turkish women’s makeup techniques.Also the 1910s brought us the first powder and blush compacts along with the new LIPSTICK invented by Maurice Levy, which incorporated a roll-up stick of lip wax encased in a metal tube. 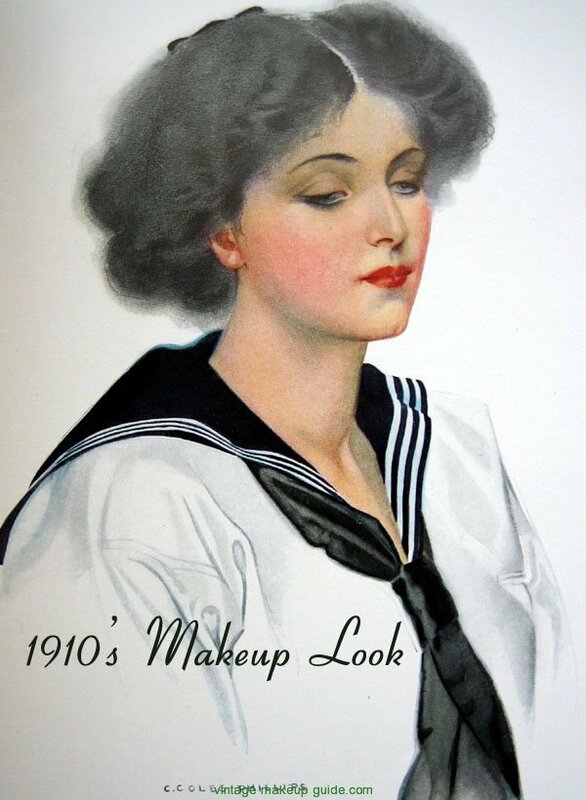 Women’s make-up was well on its way. 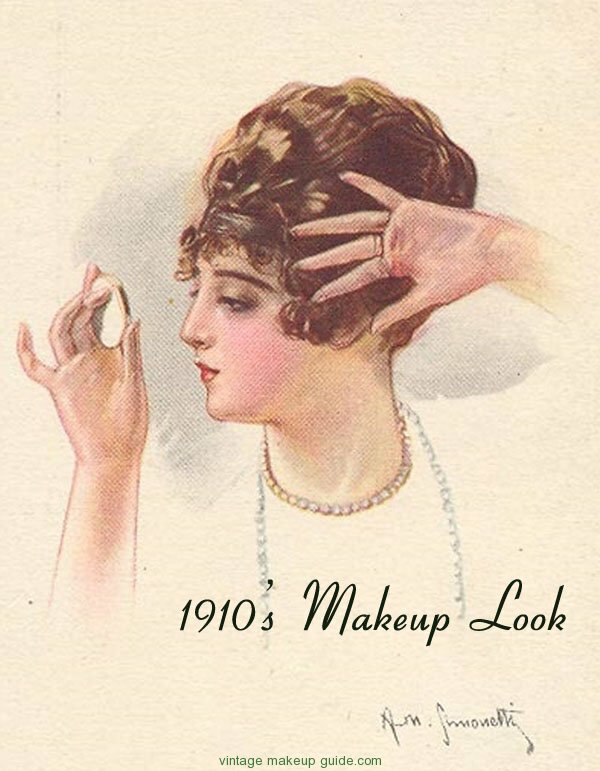 All these make-up innovations however remained the domain of music hall and screen stars, and it wasn’t until the 1920’s that the they became commonplace in women’s handbags. 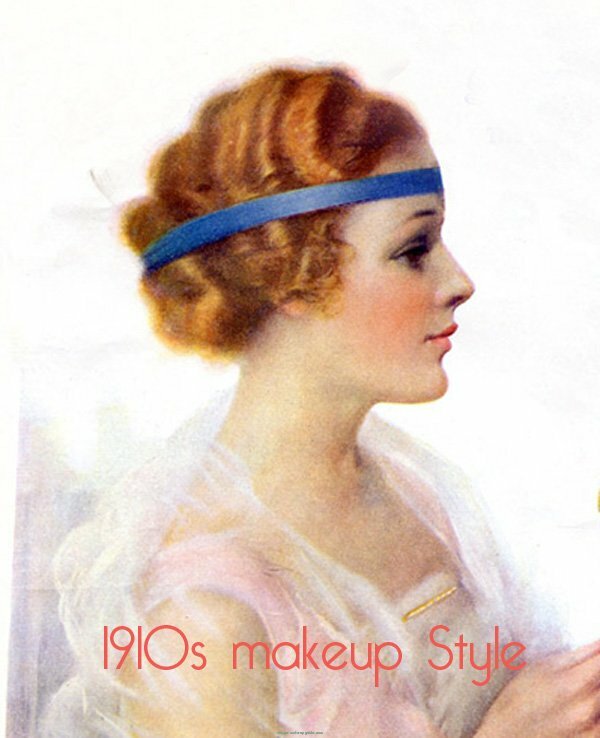 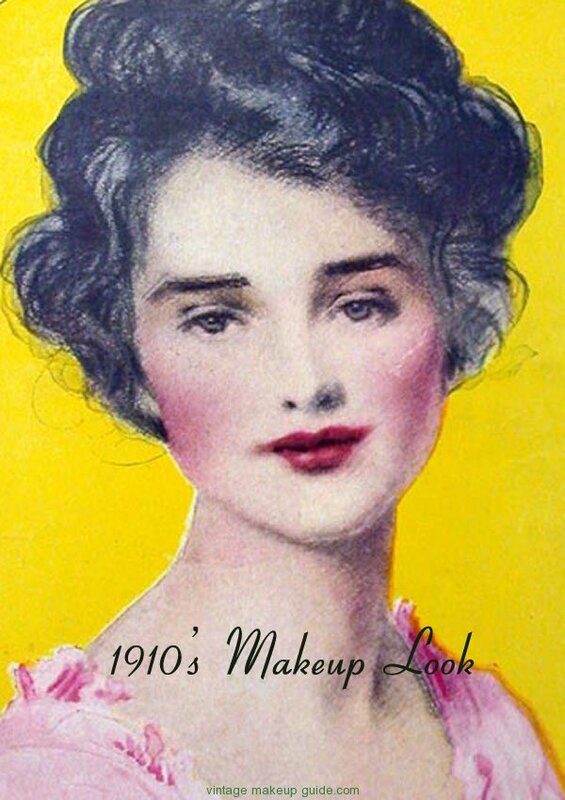 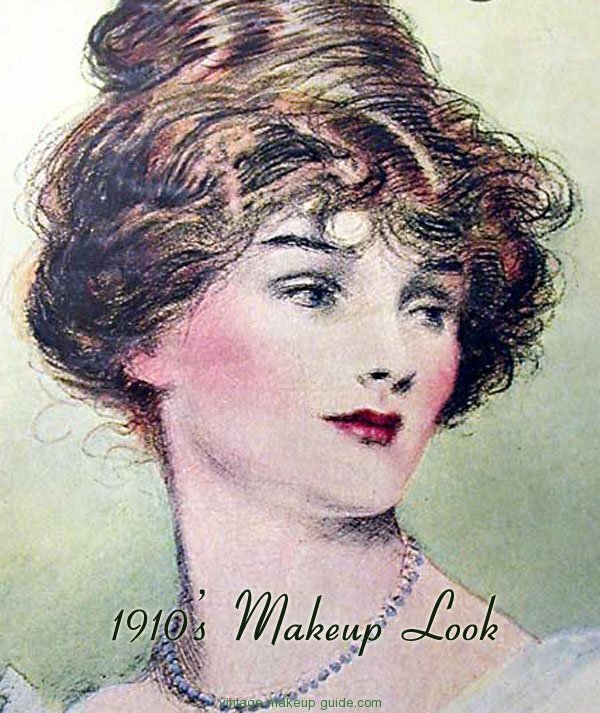 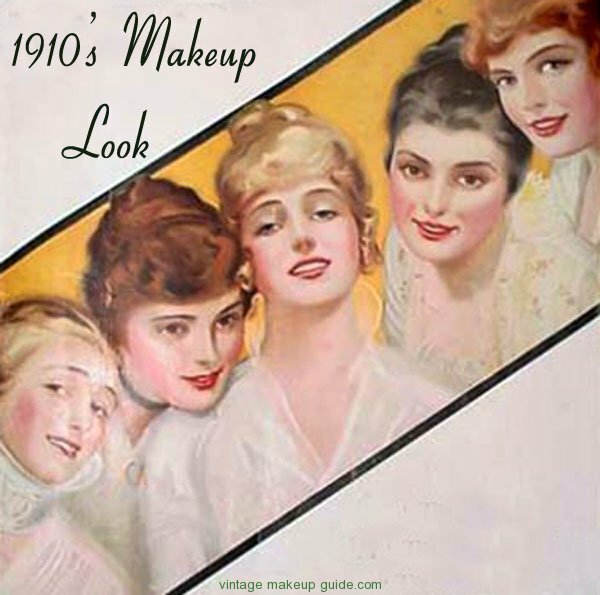 For a complete history of 1910s makeup and beauty, the key looks and loads of image galleries – visit our sister channel Glamourdaze.